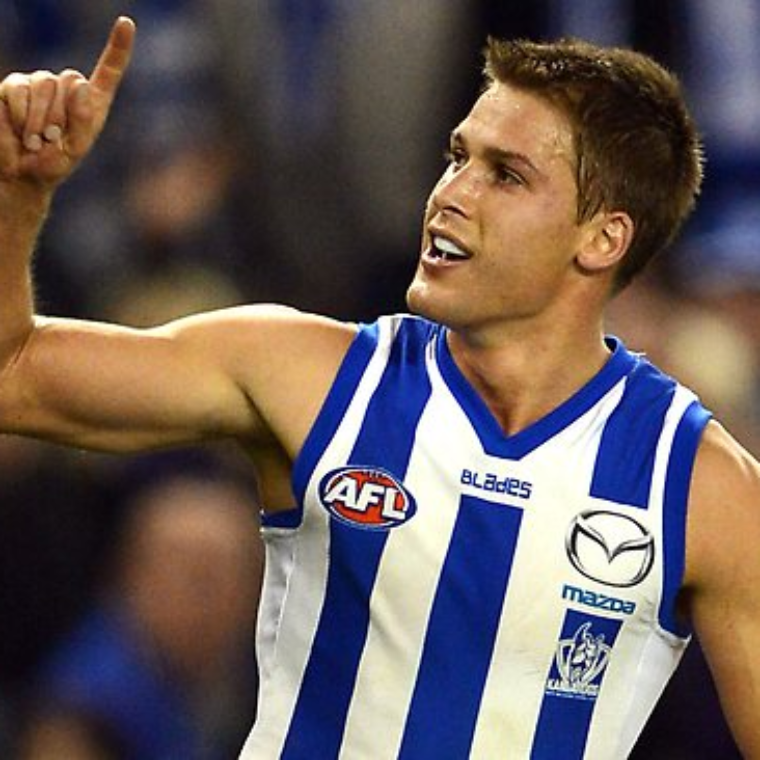 Andrew Swallow is an Australia Rules Footballer and the current captain of the North Melbourne Football Club. Drafted in 2005 Swallow is a tough in-and-under midfielder who can win important clearances for his team. A genuine A-Grader, Swallow won the Syd Barker Medal in 2009 to cap off a break out year and was runner up the following year. 2011 was a career best season for the 24 year old with a stand out 39 disposals in round 11 against Adelaide, a second Syd Barker Medal and an International Rules call up. It has been a memorable year for the midfielder who has now cemented himself as one of the AFL’s elite. Recognised as being at the forefront of the Kangaroos future chances, Swallow is also a leader off the field, taking up a role as a representative for the AFL Players Association at the age of 24.